Two years after the inscription of the Ahwar into the World Heritage List, the Iraqi government submitted its first State of Conservation Report to follow up on the implementation of the UNESCO requests as stated in Decision 40COM8B.16 of UNESCO. The Ahwar is a complex mixed natural and cultural site consisting of several locations over which civil society in the past year voiced its concern that it might be removed from the World Heritage List due to lack of comprehensive management. In May 2018, UNESCO released Draft Decision 42COM7B.66 for the Ahwar of Iraq, prior to the 42nd Session of the World Heritage Committee. The UNESCO Report agrees with the concerns identified which affect the conservation of the Ahwar. UNESCO recognizes that guaranteed water flows and water allocations for the natural component of the site, the marshlands, remain a challenge. Nonetheless, concern remains that UNESCO underestimates the consequences of upstream dam construction. In June 2018, Iraq was affected by a drought which drastically decreased the water levels of the Tigris River, on which the Iraqi Marshlands depend. 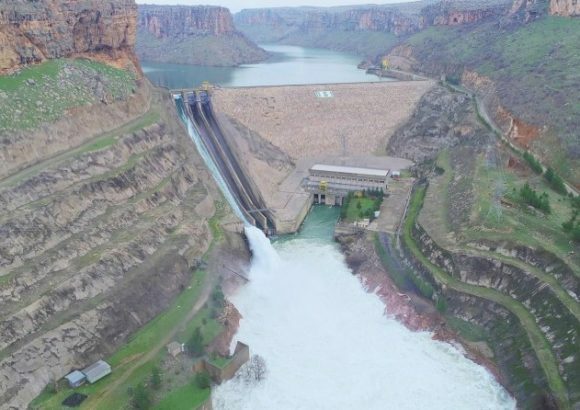 River levels are set to decrease further by 40% once Ilisu Dam in Turkey starts operating. In its report, UNESCO claims there are “ongoing efforts towards the establishment of long-term water sharing agreements between Iraq, Iran and Turkey” even though there are no negotiations ongoing. At this moment the government of Iraq has only received oral confirmation that Turkey will not disrupt water flows to Iraq, but no written agreement. Dialogue between Iraq and Iran has been fostered with the help of the Ramsar convention, but there is no agreement on the border and water-sharing in order to sustain the marshlands. Without a treaty on water-sharing between the riparian countries and with droughts likely to increasingly occur in the near future, water flows to the Iraqi Marshes are under threat. Within Iraq the Marshes compete with other users for water. UNESCO should recognize that the World Heritage site is dependent upon these upstream water flows and along with its Advisory Bodies, should play an active role to mediate between the riparian states. Local communities and independent civil society are still not fully regarded as key partners in the development of a long-term strategy for the Ahwar. The UNESCO Iraq office and the Advisory Bodies recognizes that adequate legal protection for the heritage is insufficient, and that law enforcement remains a challenge. In order to legally protect the Ahwar, new laws need to be passed and existing ones need to be strengthened. Civil society has an important role to push for the adoption of an improved legal framework and to advocate for the implementation of the law. It is therefore in the interest of the WHC to involve civil society in the protection of the heritage site. Therefor the WHC’s request is welcomed, to send a World Heritage Centre/IUCN/ICOMOS Reactive Monitoring mission to assess the property and consider this an opportunity for the mission to meet with local advocates of independent civil society. Consider inclusion of the Ahwar in the World Heritage in Danger List because of potential decreases in water flows due especially to upstream dam construction in the near-term and climate change in the longer-term. Facilitate international mediation between the states parties of Iraq, Turkey and Iran to agree on a water-sharing treaty between the riparian states, safeguarding water flows to the marshlands of Iraq from upstream dams. Strongly advocate for a participatory process within Iraq for restructuring water management plan guaranteeing water allocations for the Marshes and sustainable water shares between different governorates. Meet with independent civil society and local communities during the next field mission and support the formation of an Iraqi civil society coalition that includes all stakeholders. Support the Urim Initiative in its efforts to develop a long-term conservation plan for the Ur site. Advocate with the Iraqi authorities to involve independent Iraqi civil society and local communities in all levels of planning and development for the Ahwar.